The Location of the Imilac Meteorite crater and associated meteorites is known to Europeans since 1822. 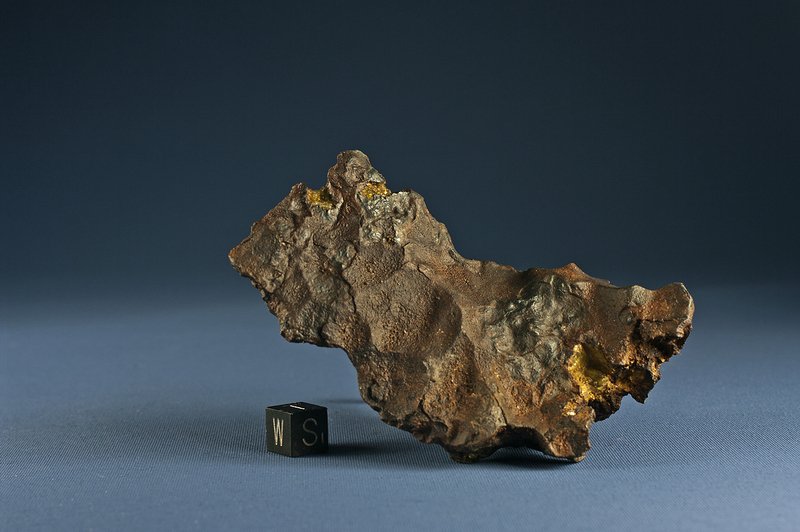 The meteorite itself is a gem as old as the solar system. 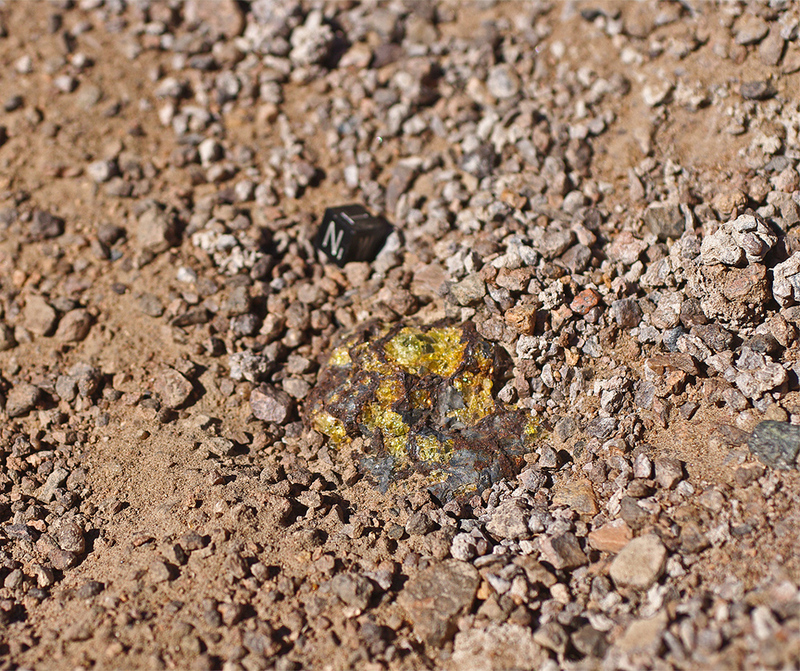 With its high density of beautiful olivine crystals this particular pallasite is highly sought after by collectors. 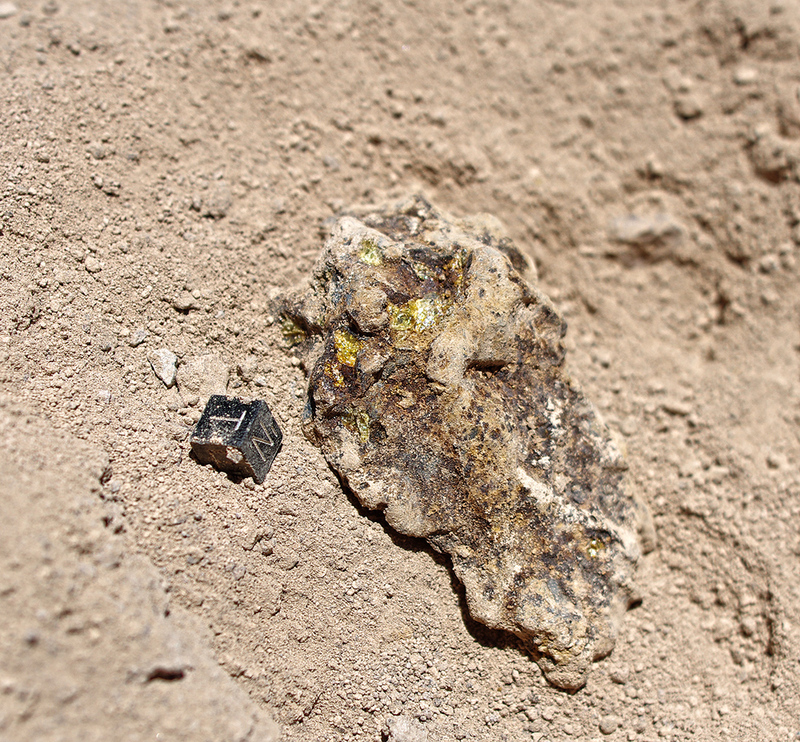 These are pallasite individuals from the uprange end of the strewnfield with patches of preserved fusion crust and single olivines embedded in the Ni-Fe matrix. The upper two photos show the specimens in situ and in as-found-condition, 5-10 cm below the pediment surface. The scale cube is 1 cm.